The Leopard Theme is OS X look alike theme, or it tries to be. 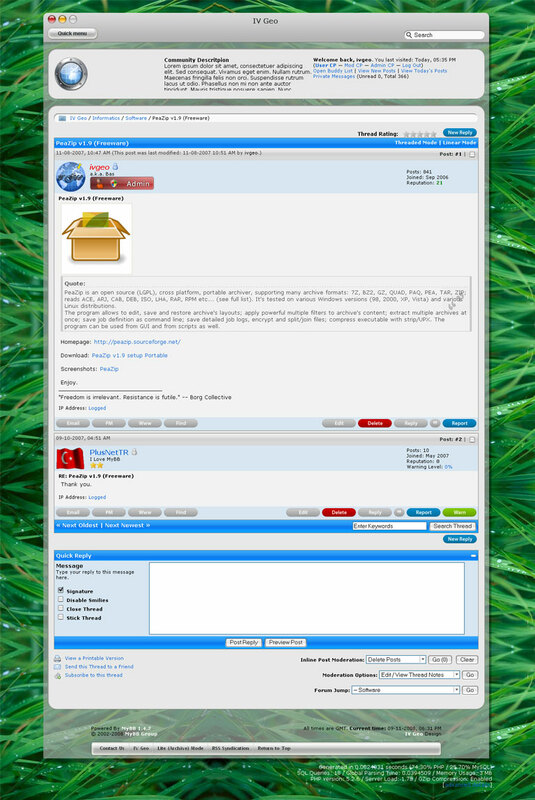 This entry was posted in MyBB, Slides and Work and tagged apple, blue, leopard, mac and white. Bookmark the permalink. Both comments and trackbacks are closed..
Lovin’ this skin! Everyone download it NOW! It looks good to me, do you have any screenshot with the problem? You have one to many div tag in your source code. Delete < / div > after Archive forums, just before forum_legend starts. You should edit forumbit_depth1_cat template, if I am not mistaken. 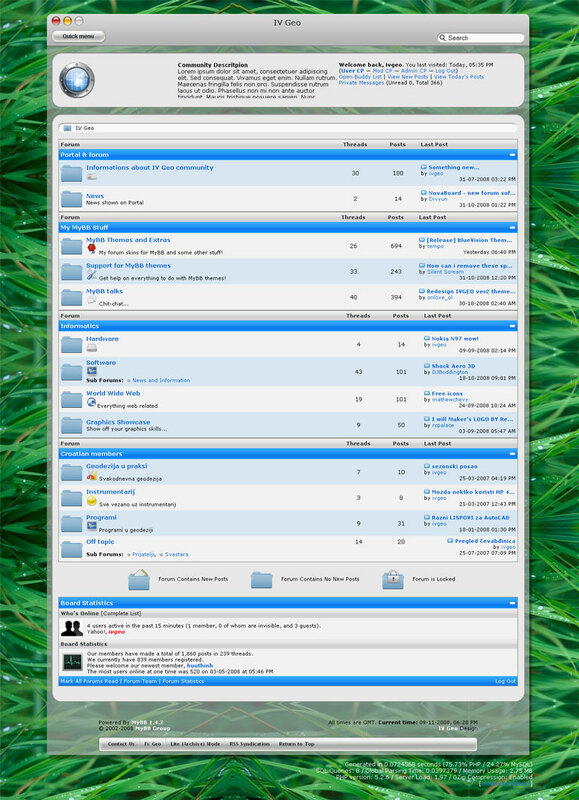 This theme is nice, I donwloaded it. But i fund some thing relation with google addsense !! the probleme is when you add 3 addesense code it showed but when you add the 4th not showed why ? is there anny code or setting that you put on your theme. because i try it more times but nigative . Sorry for a very late reply. I hope you have fixed your problem by now. I don’t have any experience with sideBox plugin and it’s coding. Sorry for that, add_ignore.gif was added in MyBB 1.6. I am going to update my themes soon. I like the overall feel of this theme but the blue is too like a windows blue, and this spoils it, it would be great if you could do another version with more of a black/grey feel. Hi there, great theme! Only i can’t seem to figure out where i can change the Community Descritpion on the theme? Is it in the theme itself or a configuration of MyBB?